No more straddling the fence--make the jump with Wolfe Fencing Co today! 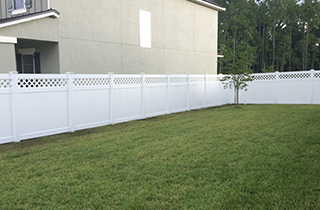 Let us service all of your vinyl fence needs! 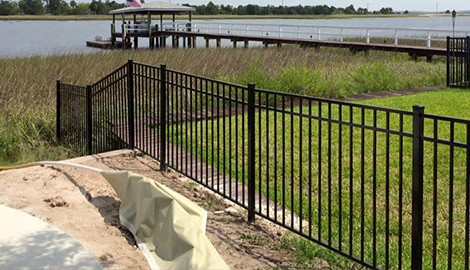 When it comes to aluminum fencing, you'll want experience and knowledge, two things that are not in short supply at Wolfe Fencing Co. If, as they say, fences make the best neighbors, then every neighborhood should welcome Wolfe Fencing Co. We all want a little space to call our own. Sometimes we just need to mark our boundaries. 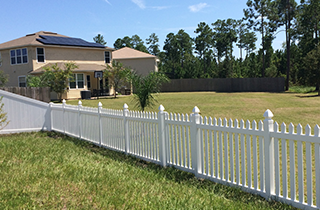 A professionally installed fence is the best way to do so! A nice fence will enhance your landscaping and add to the look of your home. From aluminum to wood, Wolfe Fencing Co has what you need when it comes to fences. You might need a fence around a swimming pool, a small dog run or around a large backyard. There's no fencing job that's too big or too small for us! We are a local family-owned business with fast, reliable service and a commitment to putting up the best fence for every customer. 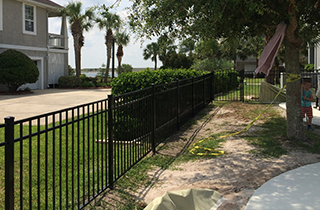 For Florida residents and businesses in and around Jacksonville, we offer installation of wood, vinyl, aluminum and chain link fences. Whether you need a short three-foot decorative fence or a six-foot privacy fence, Wolfe Fencing Co is the company for you. We bring years of experience and complete dedication to each and every job. Sometimes you don't need new, your fence just needs some TLC. If you have an existing fence that needs some slats or sections replaced or damaged vinyl repaired, we can handle that, too. As with our installations, there's no fence repair job too big or too small for Wolfe Fencing Co.
Why struggle with putting up a fence yourself? Setting posts, making sure the fence is level and straight...installing a fence is no easy task! 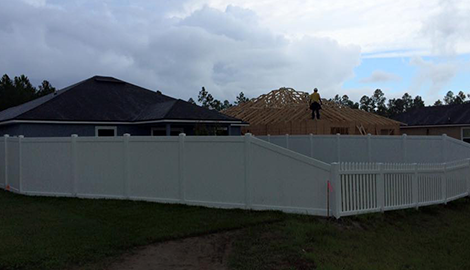 Let the professionals take the worry and challenge out of your fence installation. 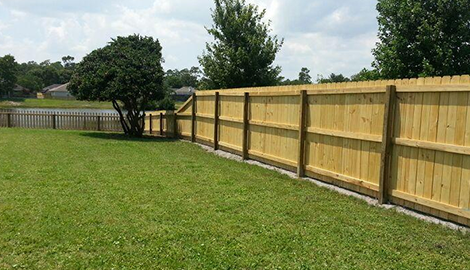 We pride ourselves on our quality fences, quick response times and total professionalism. We are licensed and insured and we are ready to take on your fence job today!